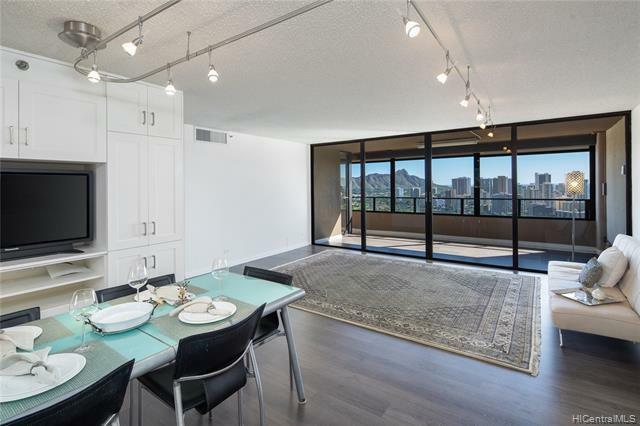 Diamond Head Tower "01" stack is the most popular corner unit with the largest 2 bedroom floorplan, only 4 units per floor. 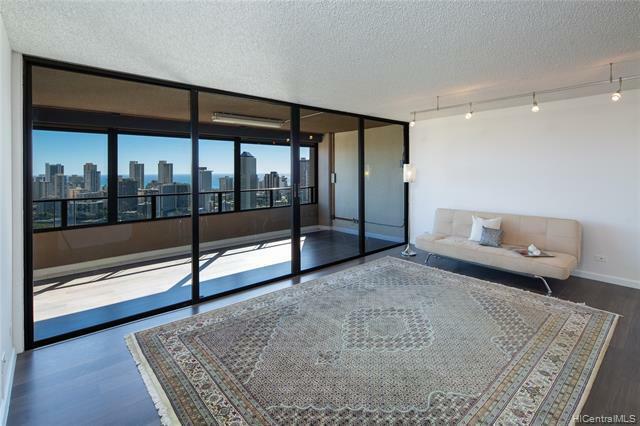 Relax and enjoy panoramic views of Diamond Head, Waikiki skyline/ocean, and Ala Wai Golf Course in the spacious covered lanai! The unit parking is located very close to the elevator. 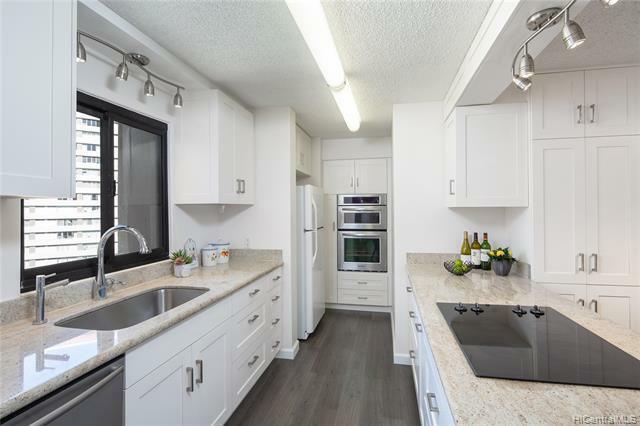 Custom renovations (kitchen, 2 baths, living room) in 2011 and new floor in the kitchen, living room, & the lanais in 2018! Amenities include: heating pool, Jacuzzi, BBQ area, tennis courts, gym, sauna, electric vehicle charge stations, and ample guest parking. 24-hour security, site manager, pet friendly. 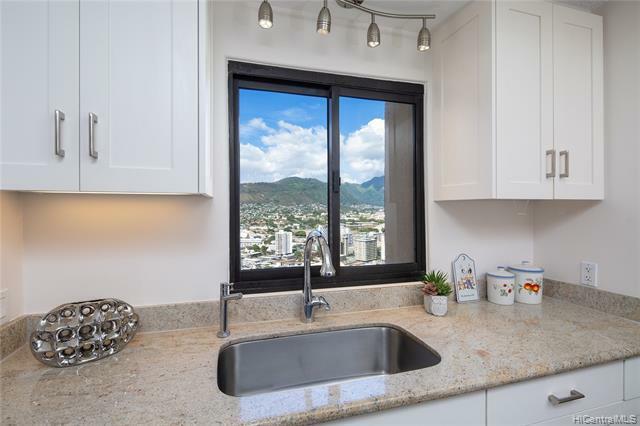 Conveniently located near Schools, UH, Waikiki, and more.